Erschwingliches Kihei, Maui, Studio, wo Sie Inselkomfort genießen. Kihei Bay Surf ist eine kostengünstige, voll ausgestattete, Studio Wohnung in Kihei, Maui. Der teilweise Meerblick von Ihrer Veranda aus überblickt die Pacific Whale Foundation und den öffentlichen Strandpark Kalepolepo, ein historisches Wahrzeichen für einheimische Fischer. Ein kurzer Spaziergang von der Wohnungstür führt Sie zum Sugar Beach und erstreckt sich mehr als drei Meilen rund um die Bucht nach Maalaea. Es ist einer der längsten weißen Sandstrände der Welt. Während der Walsaison können Sie Wale und ihre Kälber in Küstennähe sehen. Diese Ferienwohnung befindet sich im zweiten Stock eines zweistöckigen Komplexes und verfügt über eine begehbare Fliesen-Dusche, eine voll ausgestattete Küche, ein Bad, eine Klimaanlage, eine CD-Stereoanlage und einen Flachbild-TV mit DVD. Passwortgeschütztes WLAN ist ebenfalls verfügbar, damit Sie während Ihres Aufenthalts in Verbindung bleiben können. Der Gemeinschaftsbereich bietet einen Pool, einen Whirlpool, einen Grillplatz, einen Tennisplatz und Wäschemöglichkeiten. Bettwäsche, Geschirr, Kühler, Sonnenschirm und Liegestühle sind vorhanden. Haustiere und Rauchen sind nicht erlaubt. 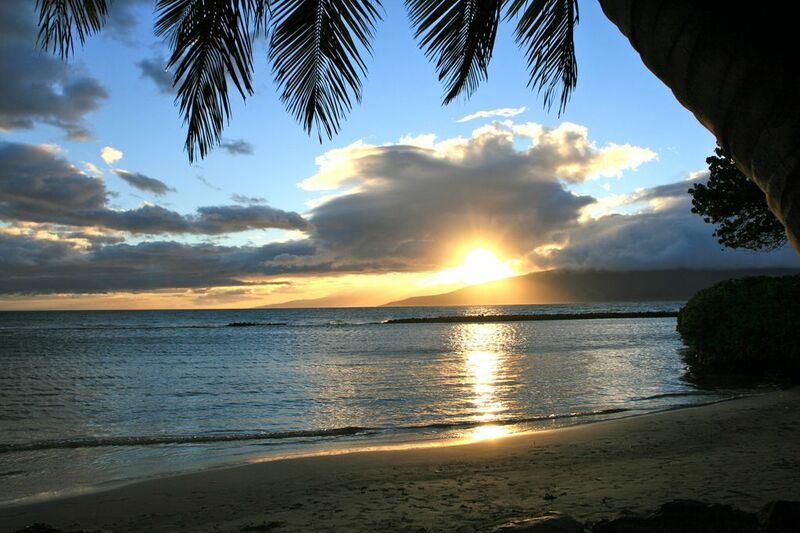 Kihei ist zentral am südlichen Ufer und in der Nähe von Restaurants, Einkaufsmöglichkeiten, Lebensmittelgeschäfte und Souvenirläden, Schnorcheln, Surfen, schöne Strände und Golf. Die Ma'alaea Bootshafen mit der Maui Aquarium, Wal / Schildkröten beobachten, Schnorcheln Charter und Kreuzfahrten Abendessen bei Sonnenuntergang ist nur wenige Minuten entfernt. Öffentliche Verkehrsmittel erreichen Sie mit einer Bushaltestelle nur wenige Schritte entfernt vor Kihei Bay Surf. Maui ist ein Surfparadies! Kihei Bay Surf ist weniger als ein Viertel Meile vom Südufer Einführungen, einschließlich Maui Sunset und Pavillons, und acht Meilen von North Shore Einführungen von Kanaha, Sprecks und Hookipa. Kürzlich umgestaltetes, komplett gefliestes Badezimmer mit optionalem, verstellbarem, drucksteuerbarem Duschkopf. The condo was in an ideal location close to food and the beach. It was very clean and open. The complex is quiet and makes it easier to relax in the room vs. staying in a hotel and hearing the doors slam shut. Great centrally located condo in quiet complex. The road is just outside so there was a little noise from passing cars but nothing bad. Clean and comfortable stay. We would definitely rent again! My mom and I recently went to Maui to surprise my sister for her 40th Birthday, so we wanted someplace small and close to where my sister lives. This place was wonderful! It was clean, comfortable and a great location across the street from the ocean. You can’t beat the price either! In fact, I’ve already booked this condo for when I visit in November. We really enjoyed this property for its convenient location across from oceanfront and down the street from farmer's markets, shopping, and multiple restaurants. The property was spacious with a separate sitting and dining area and a lanai. We also enjoyed the fully stocked kitchen and extra coolers, which were particularly convenient for preparing and taking picnic lunches on our excursions. Available snorkeling equipment saved us the need to buy snorkeling fins. The property was very clean, and the large shower was a bonus. The only slight drawback to the property was the lack of airflow near the bathroom (because of only possible location for the air conditioning unit). However, there were fans provided, which solved the issue. The owner of the property was very quick to respond to contact and worked with us for a couple of special requests. We also liked that there were very clear, written directions for accessing the property, parking requirements, and provided amenities (which included grills and a pool). We will certainly consider this property when we return to the island! The condo was very clean and at 5 minutes drive from grocery and restaurant. The outdoor BBQ, pool and spa was appreciated ! The reimbursement of the depot was made a couple of weeks later. Maybe the deposit method could be more efficient (credit card/electronic transfer, vrbo).The unit is well situated on the island. There is a cute small beach at 2 minutes walk. Great service from the owner ! There will have some aunts on the counter if you let your food on it. However it's very easy to control them. Not an issue. The location of this condo is great - on a quieter section of South Kihei Road and is very close to beaches, restaurants and shopping. The owner is very professional and it is a steal-of-a-deal! The hot tub was always a great way to begin and end the day - easy way to meet other tourists. Only complaint: quite a few small red aunts on kitchen and bathroom counters, and also in shower.